This week in veg: kohlrabi leaves? 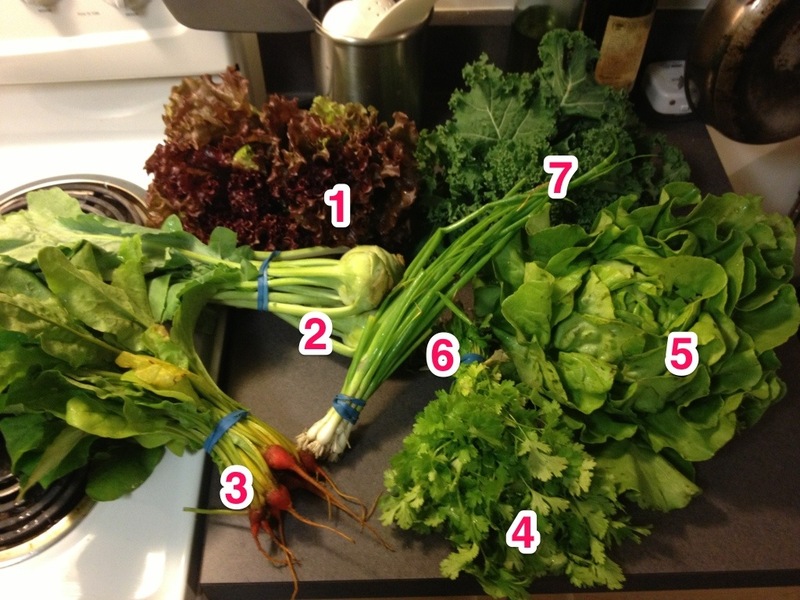 | ReLocavore: Redefining "local"
This week in veg: kohlrabi leaves? This is new to me… What should I do with the greens from kohlrabi? Categories: Cooking, Farms and Markets, Putting Food By, This Week in Veg | Tags: beet, cilantro, csa, farmers market, kale, kohlrabi, lettuce, local foods | Permalink. My foodie rss subscriptions come up with this. But that doesn’t address the greens, just the embiggened stems. I think I’m going to use them like mustard or turnip greens and make a pot of beans and greens in the slow cooker. Saute them as you would other greens. I like to use olive oil and garlic but then add other things to make flavor pop like cumin seeds or raisins or crushed red pepper. Is their flavor stronger with cooking? I had a nibble of raw leaf and it was very mild in flavor. No, I think they are mild. That’s why I spice ’em up. Enter your email address to follow Relocavore and receive notifications of new posts by email.